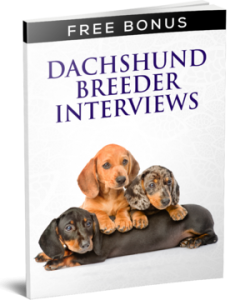 FREE Giveaway – Dachshund Breeder Interview. 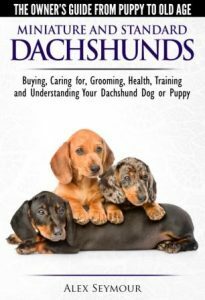 Joanne D. Wolff of Von Wolff Kennel Miniature Dachshunds (VWK) kindly shares her tips, advice and story of how she ended up as a breeder of these wonderful dogs. This is a private page where you can download one of the bonus Dachshund breeder interviews we have conducted in the making of our book: The Owner’s Guide to the Dachshund From Puppy to Old Age by Alex Seymour. Now look out for our email in your inbox. Check your junk/spam folder if you don’t receive it – sometimes it goes there in error. We may well be adding to the stories and interviews as we are still contacting Dachshund breeders. We will let you know if we have any further free interviews. If you do decide to buy the main paperback or e-book you also get the bonus e-book with all 8 of the bonus interviews.